If your child has a fever you may wish to use the traffic light table to help you determine how serious it is, and the most sensible action to take. Click here to see the traffic light table. 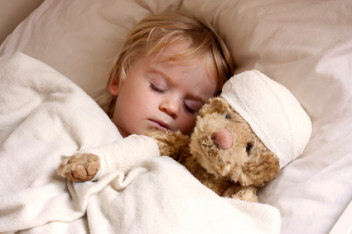 Where do I go if my child is ill? They are a team of Health Visitors, who are registered Nurses or Midwives who have a specialised degree in Public Health and the care and development of pre-school children. They work in line with the national Healthy Child Programme, which aims to promote optimal health and wellbeing for all children. They provide an essential service to children and families and work in local communities to promote health and reduce health inequalities. Their Health Visiting teams offer a public health service to children aged 0-5 years and their families who are registered with a GP in Hertfordshire. They support families during pregnancy and with a new baby or a child aged under five-years-old. They help you and your family to be healthy; both emotionally and physically. Working together with you, they can provide advice, support and confidential health advice. They work in partnership with families to design a care package that enhances you and your families’ wellbeing. They work closely with us here at The Elms, local Midwives, the Children Centre’s and some Voluntary groups. They work with communities to identify any needs in your local area, which Health Visitors’ may be able to support. The service will help to signpost families to the most appropriate service for them.